Home / Game Update / Trending / Table Top racing world Tour makes out to Xbox..
Table Top racing world Tour makes out to Xbox.. 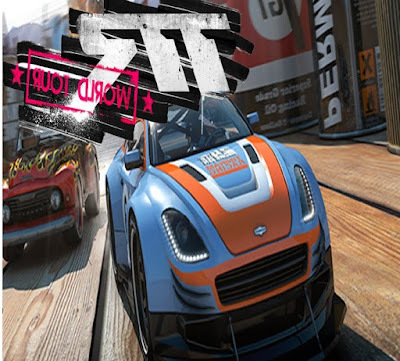 The player is meant to get behind the wheel of 16 ultra-cool, fully tunable miniaturized racing cars and take on 32 race tracks and some devious opponents through a comprehensive Championship Mode and a multitude of Special Events. Get online for an 8 player multiplayer battle and become the ultimate Table Top racer! Crush your enemies using cunning Power-ups and unique Wheel Weapons and blast your way to victory! Miniaturized, combat racing has never looked so good or been so much fun. Relevant post: CLICK HERE for an article on video game console.